I am finally getting the recognition that I deserve! I was passing through Penneys a few weeks ago (Mum was looking for boring clothes for herself and my boring little brother) and I spotted something wonderful. Socks with my name and face on them! Now I’m not quite sure why the powers that be chose to immortalise me on socks first (surely flags or coins would have been more appropriate) but I’ll happily accept it. 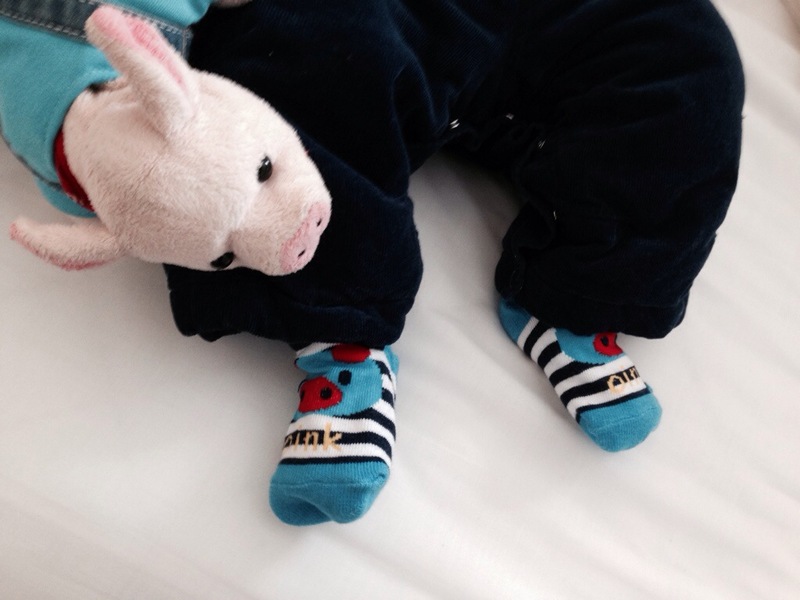 Hey Oink, love the socks! ‘^-^’ I wish that there was Snow socks but alas, no. 🙁 I stole my mummy’s phone and saw that she was talking to your mummy about going to the zoo!!!!! 😛 I hope it happens soon because I fell like recruiting some more animals!